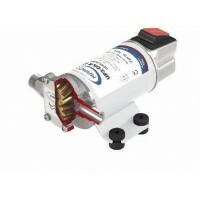 UP2/OIL 12 or 24 Volt Gear Pump Self-priming electric pumps with helical bronze gears for transferring lubricating oils and viscous liquids. 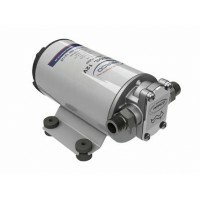 Pump body made of nickel-plated brass and st..
UP3/OIL 12 or 24 Volt Gear Pump Self-priming electric pumps with helical bronze gears for transferring lubricating oils and viscous liquids. 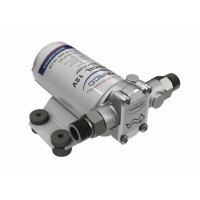 Pump body made of nickel-plated brass and st..
UP3/OIL-R 12 or 24 Volt Integrated Switch Pump for Oil w/Reverse Self-priming electric pumps for the refueling and transfer of diesel, oil and water with ON/OFF switch integrated into t..
UP6/OIL 12 or 24 Volt Gear Pump Self-priming electric pumps with helical bronze gears for transferring lubricating oils and viscous liquids. 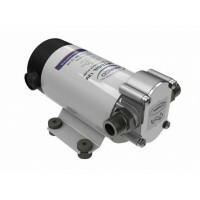 Pump body made of nickel-plated brass and st..
UP12/OIL 12 or 24 Volt Oil Transfer Gear Pump Self-priming electric pumps with helical bronze gears for transferring lubricating oils and viscous liquids. 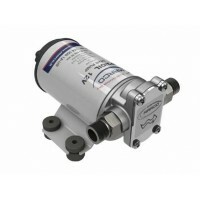 Pump body made of nickel-plate..